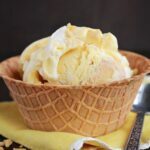 This creamy No-Churn Banana Pudding Ice Cream is made without a machine making it the perfect summer treat! Small bits of vanilla wafer cookies add a perfect crunch to every bite! Summertime is my favorite. The warm weather is perfect for outdoor time. We spend days at the pool, run through sprinklers, and eat our weight in ice cream. My favorite ice cream flavor is by far banana pudding. It is SO creamy, filled with that classic banana flavor, and sprinkled with vanilla wafer cookies. The perfect southern treat. Imagine my disappointment when we moved back to Utah from North Carolina and I found out my beloved frozen treat was not sold west of the Rockies. Honestly could not believe it and was determined to create a homemade ice cream that matched its pudding flavor. 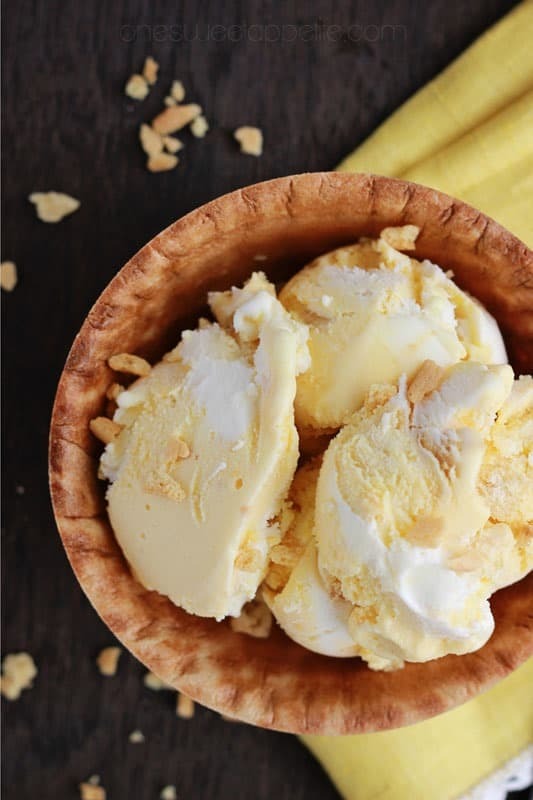 Enter this no-churn ice cream recipe. 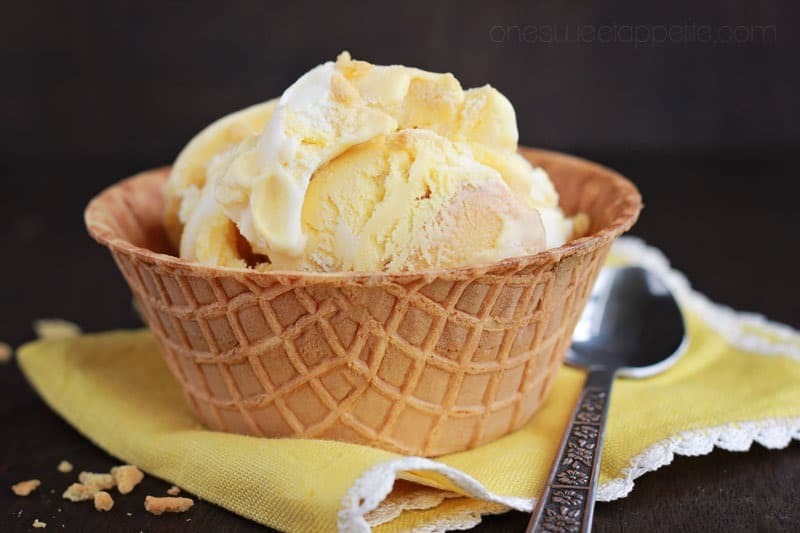 It is so simple to make, calls for only a handful of ingredients, and produces rich and creamy ice cream WITHOUT a mixer! What does no-churn ice cream mean? Let’s start with the basics. Ice cream is typically made in a mixer that simultaneously freezes and agitate or turns the mixture to keep ice crystals from forming. This process is known as churning and gives you that super creamy ice cream we all love. 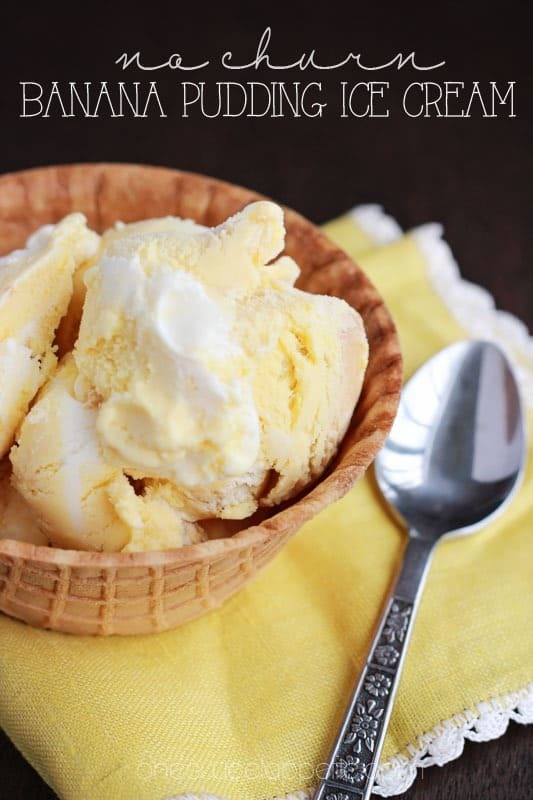 No-churn ice cream recipes do not use a mixer and tend to come together a little quicker, but do have a more pronounced sweetened condensed milk flavor. How does no-churn ice cream work? The secret is whipped cream. Heavy cream is whipped to stiff peaks and folded into your batter. This gives the ice cream the air it needs to be lighter and less dense. It allows us to skip the churning process all-together. Sweetened condensed milk is the second MVP of the recipe. It is high in sugar and has been cooked down and is what will provide the creamy texture we are looking for. Combine these two ingredients with flavor mix-ins of your choice and your flavor options are endless. Pour 1 can of sweetened condensed milk into a large bowl. Add any flavor mix-ins you would like. We generally start with 2 teaspoons of vanilla extract and add more from there. Whisk heavy cream until stiff peaks form. Fold the whipped cream into your sweetened milk until just combined. Pour into a freezer container and freeze 4 hours or until solid. What can you mix into no-churn ice cream? Combine the sweetened condensed milk, banana pudding mix, vanilla and wafers in a large bowl. Fold in the whipped cream. I liked mine with a swirl effect so I didn’t worry too much about fully mixing all of the white into the sweet milk. Pour into an air tight container and freeze until solid. Sounds delicious! I’ve always wanted to make my own homemade ice cream but have never had the equipment to do so – fingers crossed I win the KitchenAid, I’ve heard so many people raving about them and cooking/baking is one of my main passions. Thank you for such a lovely giveaway, I’ll be bookmarking this recipe for later! 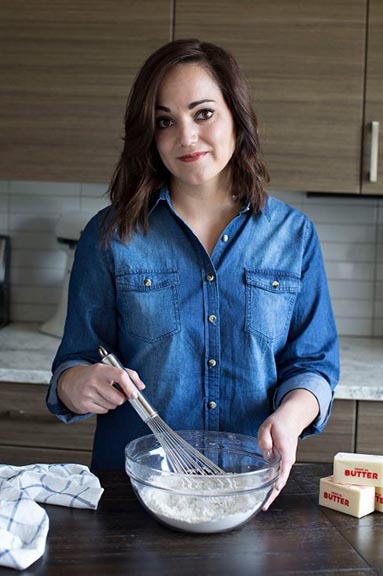 Your recipes are amazing and I must try it now. Of course it would be fun to make it with the Kitchenaid attachment, too! Looks totally yummers! Just may have to try this weekend! It would be beyond Awesome to win! I’ve been wanting a kitchenaid for years!!! This looks marvelous. If I won the mixer I could make my bread without hurting so much. Do you use instant pudding mix? yes. Instant pudding was what I used.